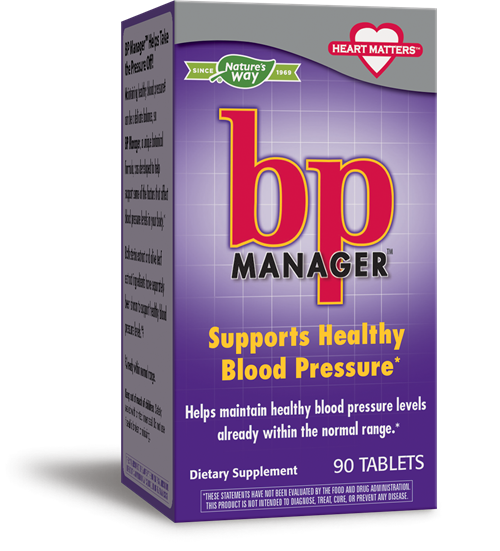 BP Manager™ / 90 tabs - Nature's Way®. Caution: Monitor your blood pressure regularly. Consult a healthcare professional before use if your blood pressure is outside the normal range. If you have kidney disorder, are pregnant, nursing, or are taking any medications, including blood pressure lowering medications, consult a healthcare professional before use.